I sometimes rely on convenience foods from the freezer section of the supermarket when I am short on time. They give a “jump-start” to dinner preparations, and often are more economical than what I can make at home. 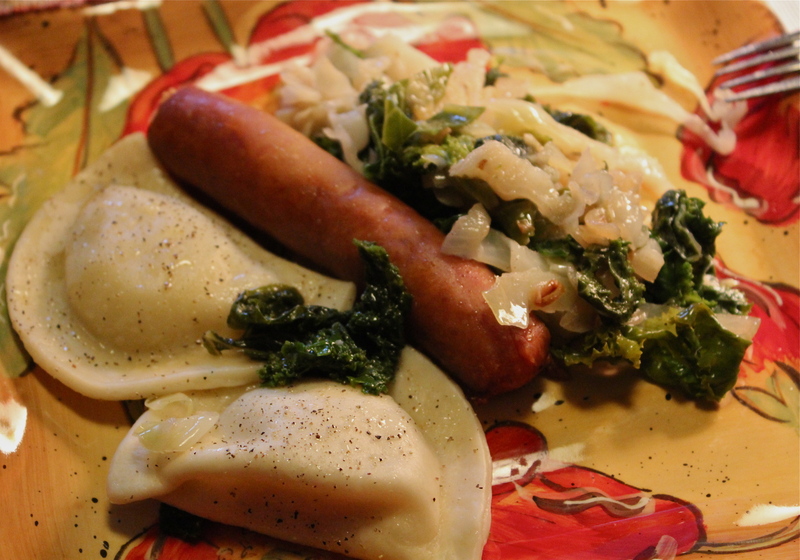 Pierogis are one of those food items. 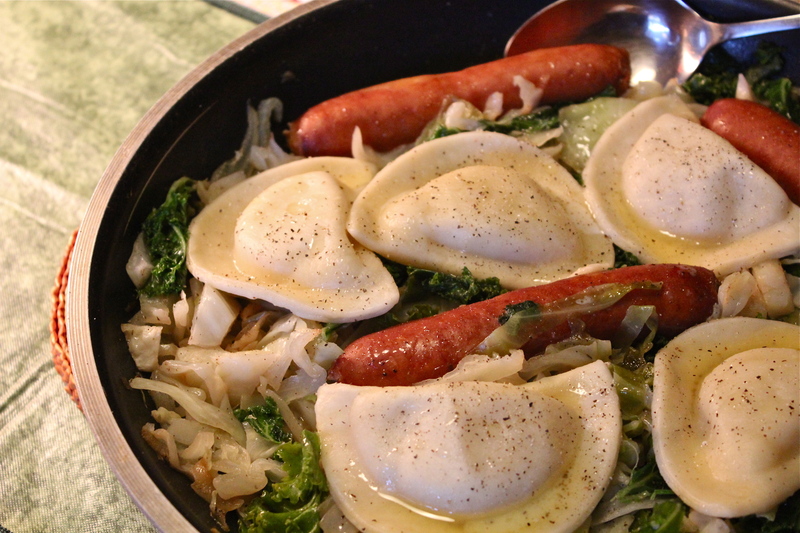 Pierogies are filled dumplings; the fillings varying from potatoes, to cheeses, to spinach, or any combinations of these. The most common way I fix them is to boil them as directed on the package, and serve with melted butter and sautéed onions. Teamed up with a protein item and a salad, they round out the meal by providing carbohydrates and, depending on their filling, a small additional amount of protein as well. 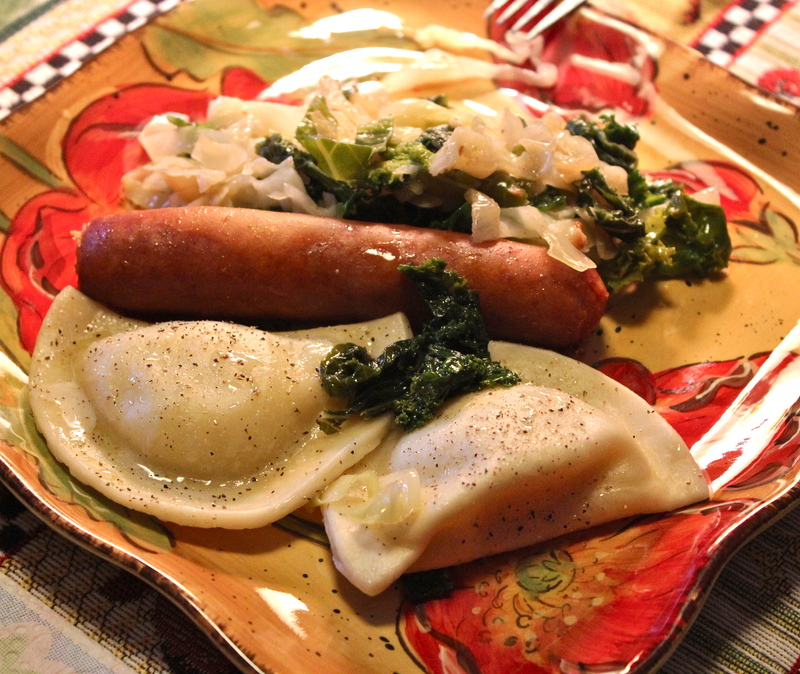 In this baked dish, however, I pair pierogies with bacon and a very simple cheese sauce. 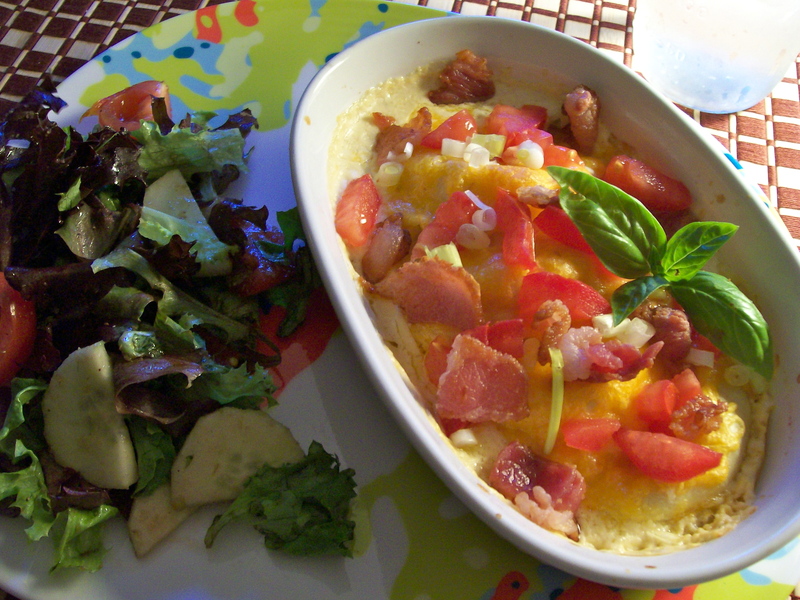 Top with more cheese, bake for a short time and top with chopped tomatoes and green onions. Serve with a green salad. 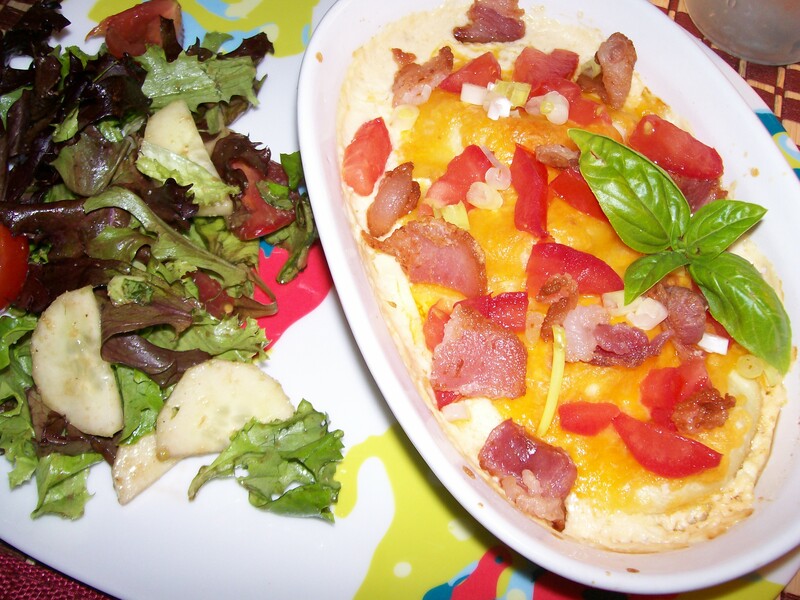 I think this dish is colorful and looks nice baked in gratin dishes for individual casseroles. 2. 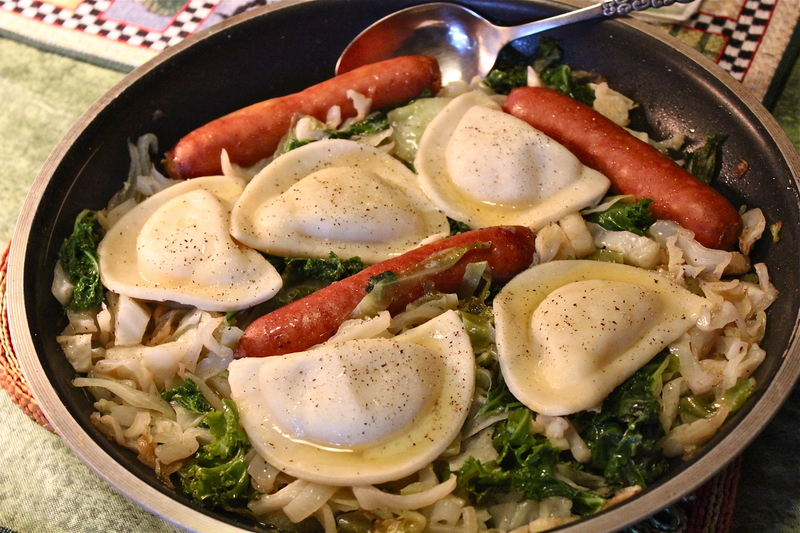 Arrange pierogies in an 11″ x 7″ baking dish, or individual casseroles, coated with cooking spray. 3. Cook bacon in a skillet over medium heat until crisp; remove and drain on paper towel. Set aside. 4. Add garlic to drippings in pan, and cook for 30 seconds, stirring constantly. Add 1/3 cup cream cheese to pan, cook for 1 minute or until cream cheese begins to melt, stirring frequently. Gradually add chicken broth, stirring with a whisk till smooth. Pour this mixture evenly over the pierogies. 5. Top with 1/2 cup cheddar cheese. Bake at 400 degrees for 20 minutes or until bubbly and thoroughly heated. Remove from oven, and sprinkle with bacon, green onions, and tomatoes.